Platinum Delilah is one our favorite classic grey foundation females in the herd. 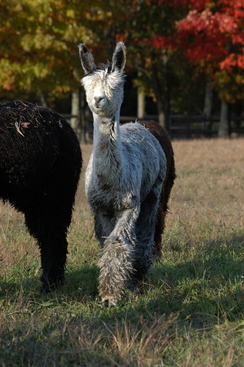 Her sire is Lazy G's Accoyo Goldstar and her mother is Silver Heat's Graysia, making her a 1/2 Accoyo grey girl with some serious grey genetics and a very fun pedigree. Brad and Jandy bought her at the 2013 Suri Showdown in KY. Her fiber is amazing and the luster...sunglass material. 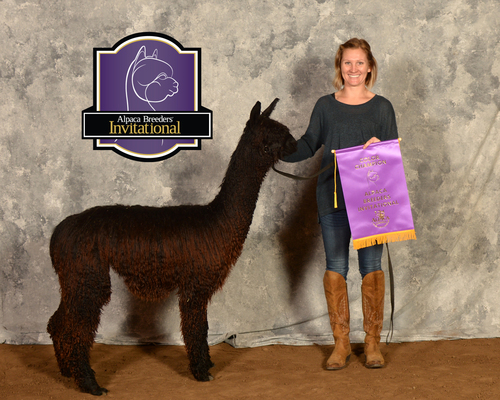 Beautiful greasy fine fleece that earned her the Reserve Grey Suri Network Championship with her third fleece in 2015. 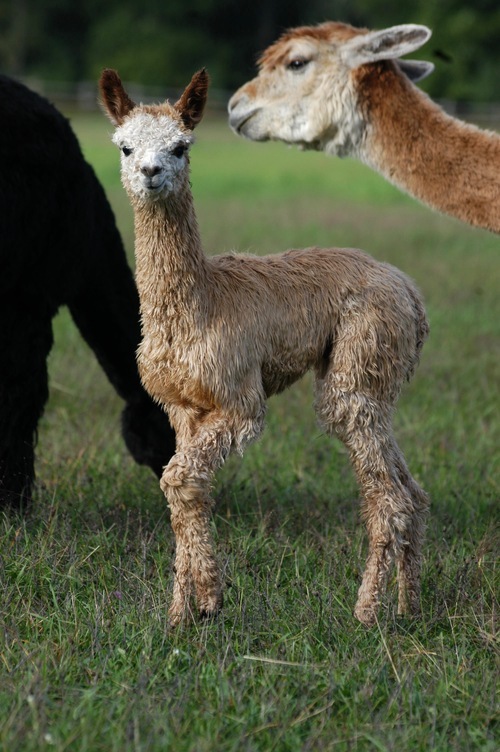 Delilah's first cria was born in 2015- a beautiful black Rastamon son, GLR Django, who won Color Championship at his first show, the 2016 ABI! Platinum Delilah is certainly a stunner- She is also a great first time mother and we like this little future herd sire that she has at side. 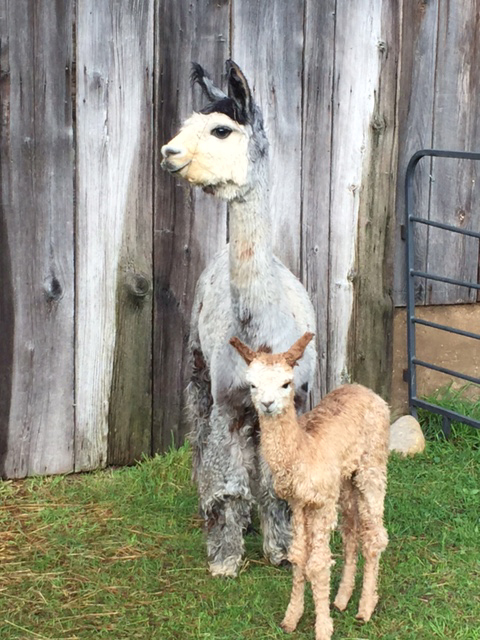 Delilah just had a beautiful classic silver grey male by Cinders! Look out for this boy!